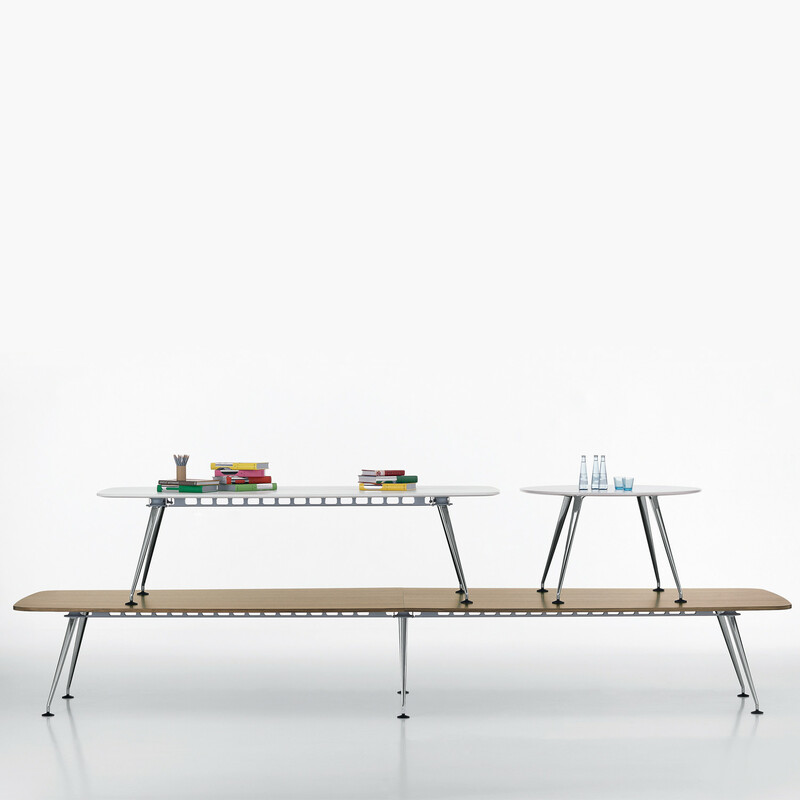 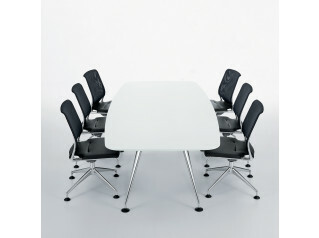 MedaMorph conference table system was developed in collaboration with Alberto Meda. 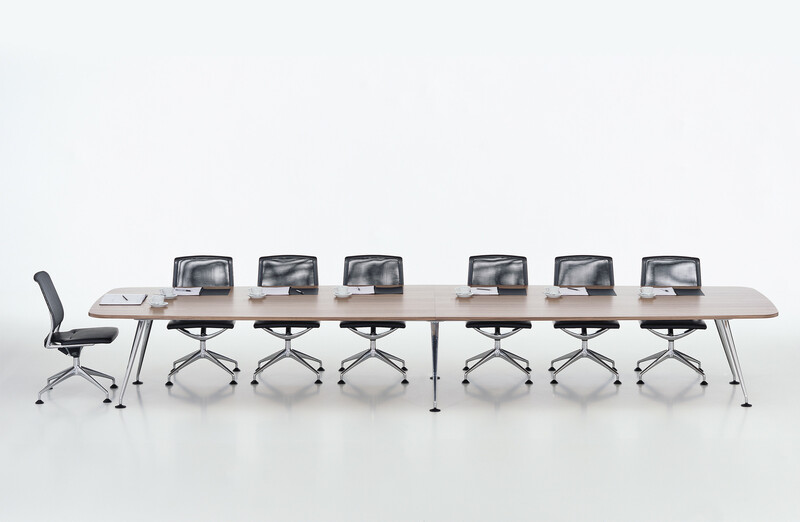 The MedaMorph table collection offers a basic range of round and rectangular tables and of round and boat-shaped conference tables designed with an intelligently shaped system base frame. 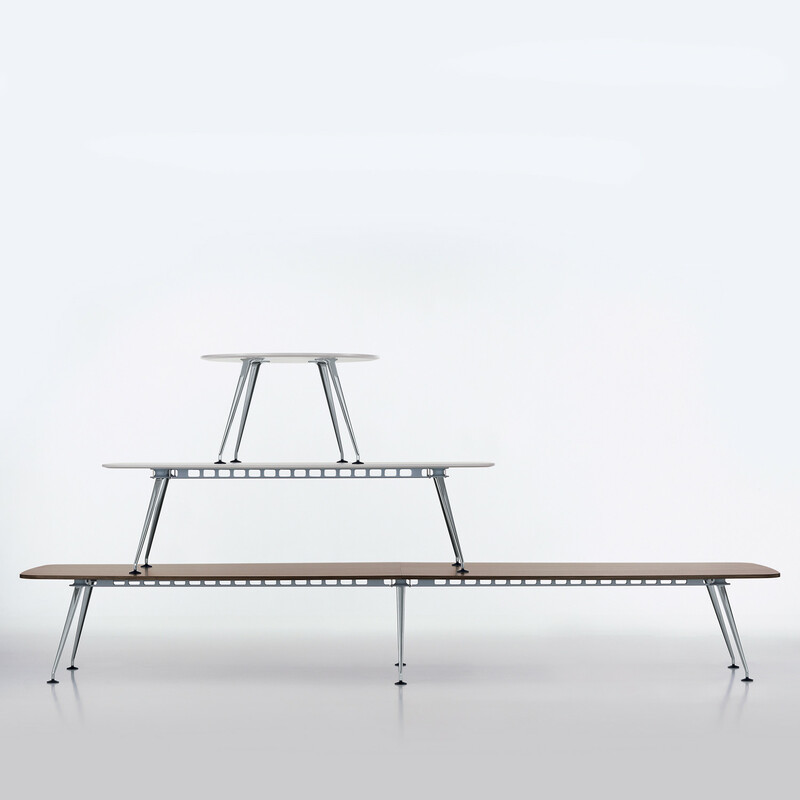 This table system expresses the fundamental idea of the program and consists of 4 elements: two types of leg, the star connector and cross bars of variable length. 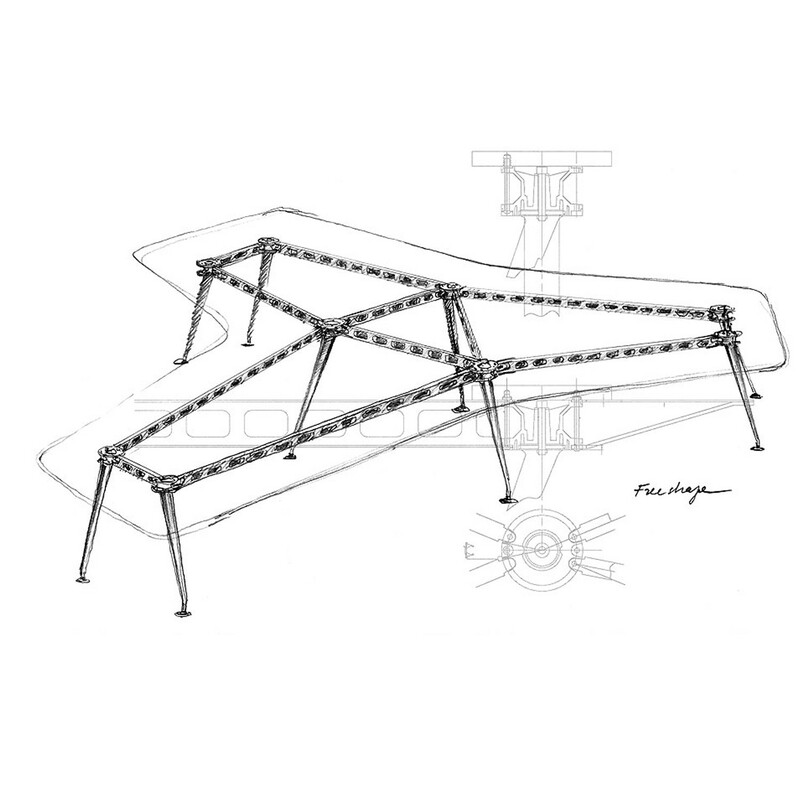 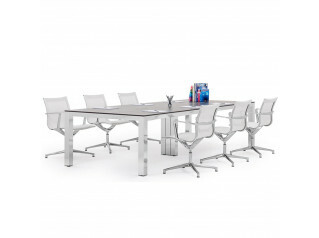 These elements form a modular set enabling conference tables of any size or shape to be erected. 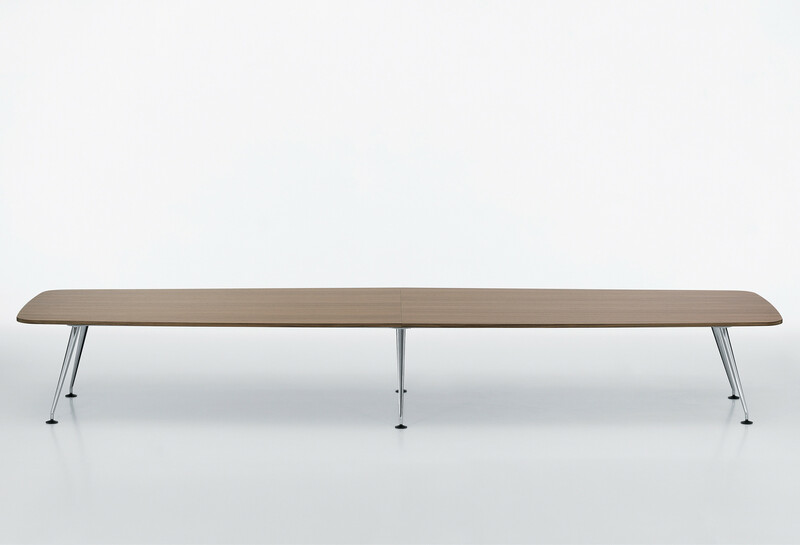 This allows customer preferences in terms of leg room or the aesthetic appearance of the table legs to be largely accommodated. 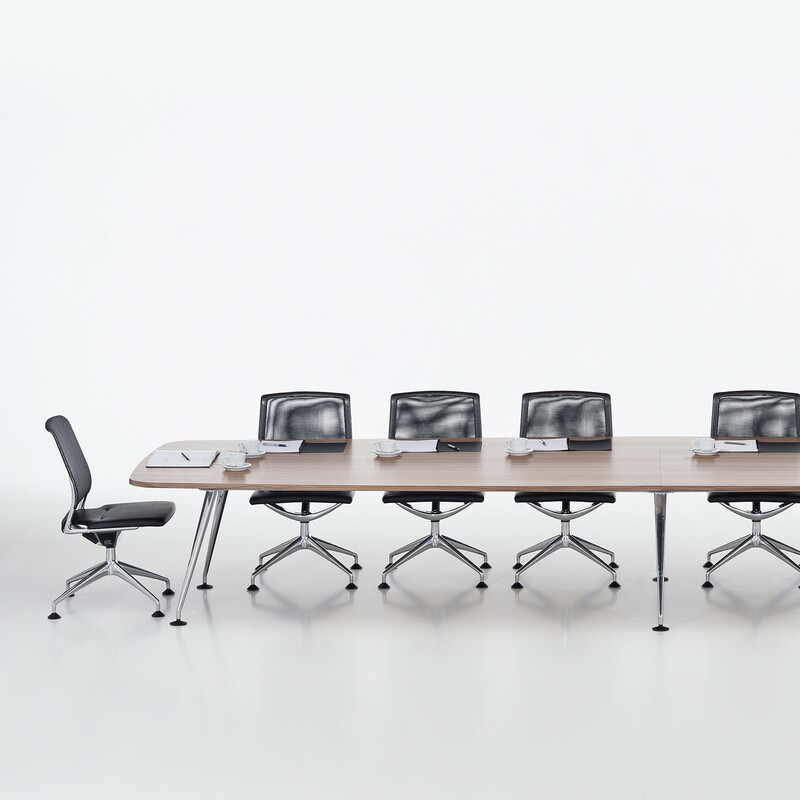 You are requesting a price for the "MedaMorph Table System"
To create a new project and add "MedaMorph Table System" to it please click the button below. 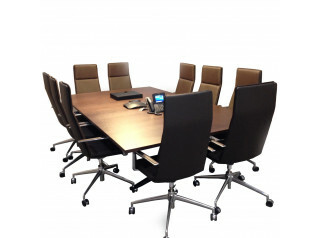 To add "MedaMorph Table System" to an existing project please select below.